The State Fiscal Service of Ukraine in January 2019 issued 9,707 EUR.1 movement certificates that allow goods of Ukrainian origin benefiting from favorable trade terms under a preferential trade policy of the EU, the authority has reported on its website. The authority said that in general, during the 2016-2018 years, customs officers issued 219,000 certificates. “As of February 1, 2019, the status of an authorized exporter has been granted to 231 enterprises, which export their products to EU countries on preferential terms,” the State Fiscal Service said. The authority reminded that in order to be granted with the preferential access to the EU market as part of a free trade area between Ukraine and the EU, a company must confirm the origin of goods from Ukraine and receive the EUR.1 movement certificate. The State Fiscal Service has been issuing these documents since 2016 free of charge for each consignment of goods when exported to the EU. At the same time, the status of an authorized exporter lifts the requirement to receive the certificate, the authority said. In addition, the requirement for having the EUR.1 movement certificate does not apply to goods with a total invoice value no higher than EUR 6,000, and also, if these are goods to which the EU applies a zero import duty rate. The accredited key certification center under the State Fiscal Service has issued 554,800 digital signatures (strengthened public key certificates) since the beginning of 2018, while since the beginning of the center’s work 6.7 million digital signatures have been issued, according to the website of the department. The center has serviced 197,900 customers since the beginning of this year, of which 140,600 are individuals, the service specified. At the same time, 57,300 legal entities received 263,200 digital signatures, the report says. As reported, electronic keys issued by the center allow reporting online both to the bodies of the State Statistics Service of Ukraine and the Pension Fund. Auditors of the State Fiscal Service (SFS) of Ukraine carried out 16,600 surprise checks of the facilities with the largest risks of tax evasion in 2017, the service’s official newspaper SFS Visnyk reported on its website. According to the report, special attention was paid to the VAT payment schemes. A large number of tax evasion schemes were discovered in the highest risk sector – the sales of agricultural products, the service said. In addition, the checks revealed invalid transactions for the purchase of goods or services that were not produced or provided in the amount indicated in source documents and/or it was impossible to supply these goods or services due to the lack of resources for their production, storage and transportation by the supplier; absence of source documents, accounting registries, financial statements and documents related to the calculation and payment of taxes and fees, which are required by law. All in all, these inspections exposed 6,200 beneficiaries, UAH 14.8 billion of VAT paid under fraudulent schemed, including UAH 2.6 billion of VAT from risky importers. According to the inspection results, additional UAH 16,200 billion are expected to be sent to the state budget, of which UAH 8.1 billion were agreed (UAH 1.3 billion of which have already been paid). 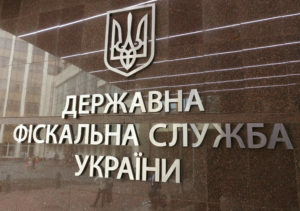 Some 1,061 Ukrainians have declared income of over UAH 1 million as of March 21, which is half more than in the same period last year, the State Fiscal Service reported on its website. According to the agency, the largest sums of tax liabilities were declared by two residents of Kharkiv region – more than UAH 8 million. 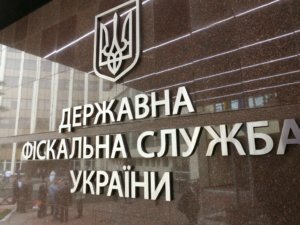 In total, as of March 21 Ukrainians had submitted 130,000 tax declarations for UAH 12.3 billion, which is UAH 1.8 billion, or 13%, less than in the same period in 2017. “The majority of citizens declared the income received in the form of wages totaling almost UAH 4.1 billion,” the agency said. At the same time, income from inherited or property received as a gift amounted to UAH 2.1 billion, from the sale of movable and immovable property some UAH 1.1 billion, due to receipt of foreign income some UAH 400.6 million, according to the service.